A rather laborious biography of Dutch painter Vincent van Gogh, Lust For Life is filled with good intentions and dedicated acting, but struggles to create a story for the man who died alone, unknown and penniless. 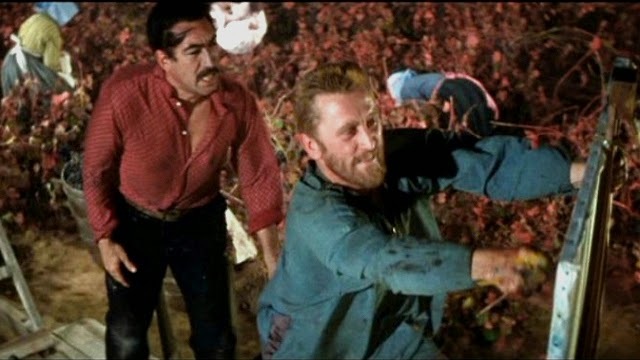 The film opens in the late 1800s with van Gogh (Kirk Douglas) trying to define what he wants to do in life. He attempts to establish himself as a priest in a tough mining region, but soon realizes that he prefers social work and rubbing shoulders with the miners rather than preaching to them. His brother Theo (James Donald) is an art dealer and extends continuous financial help as Vincent embarks on a fledgling career as an artist. Vincent has plenty of passion but few useful social skills. He is rejected by the love of his life, starts a relationship with a lonely woman, and paints obsessively, honing his skills and looking for a break. He travels across Europe, from the countryside to Paris where he meets and briefly mingles with the impressionists, especially the flamboyant Gaugin (Anthony Quinn). Vincent generates a large volume of work, but finds no market for his paintings. With his physical and mental health starting to fail due to various ailments, he settles in the town of Arles, taking over a yellow house and revelling in the bright colours of the French countryside. Gaugin joins him for a stint, but tensions develop between the two men, and Vincent will face his final days on his own. Directed by Vincente Minnelli, Lust For Life tackles a legendary subject but has little material to work with. The truth is that van Gogh did not live an exciting or celebrated life. He was a struggling and lonely artist, practicing his craft in the shadows of obscurity, struggling with undiagnosed and creeping sicknesses. With no family of his own, no friends who could tolerate him for too long, and no clients, van Gogh's life, unlike his work, is a sad but relatively boring canvas. Absent an involving plot, Minnelli makes good use of the artist's letters to his brother to stitch together thoughts and emotions. 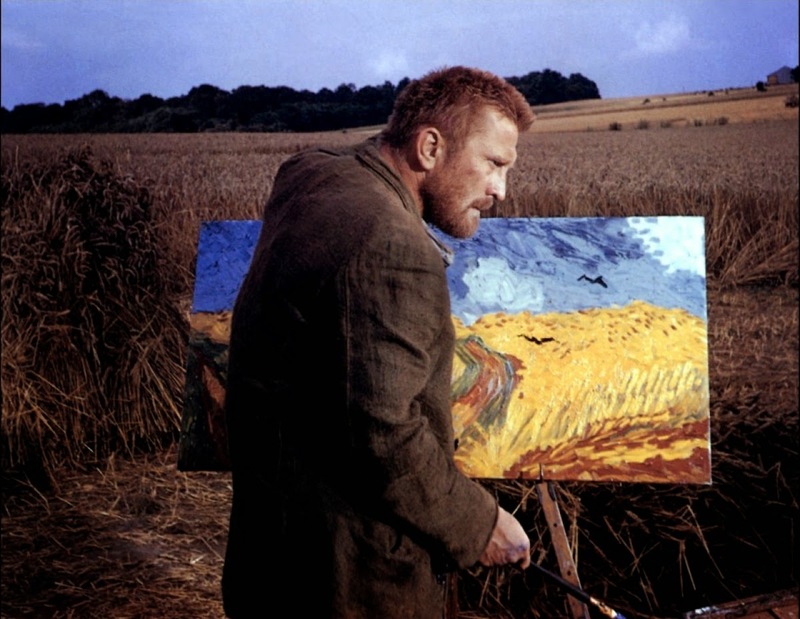 The film is also filled with close-ups of van Gogh's paintings, and the credits acknowledge a long list of galleries and collectors for allowing the artist's paintings to be photographed for the film. Most notably, Minnelli bathes Lust For Life in vivid colours and an emphasis on bright reds and yellows, creating an aesthetic that resembles the bursts of life that define van Gogh's works. Douglas throws himself into the role and delivers a serious, sometimes dour, performance. He conveys van Gogh as full of passion and sometimes fury at an unforgiving world, but also willing to be a student, learning from nature, and always striving to improve despite bleak prospects. Douglas' hard features are perfect for a character who only ever knew the hard life, and yet never stopped struggling to perfect his art. Anthony Quinn won the Best Supporting Actor Academy Award for his portrayal of Gaugin. It's a relatively short but still earthy performance typical of Quinn, parking nuance at the door and doubling up on fervour. Lust For Life does the best with what is available: intensity of spirit, burgeoning talent, and static images.